Rotate your device for a better experience. For people with neglected diseases, often the poorest populations, living in remote areas, accessing drugs is very difficult. Every year, only a small percentage of therapeutic products are indicated for neglected diseases, even though these diseases account for 11% of the global disease burden. 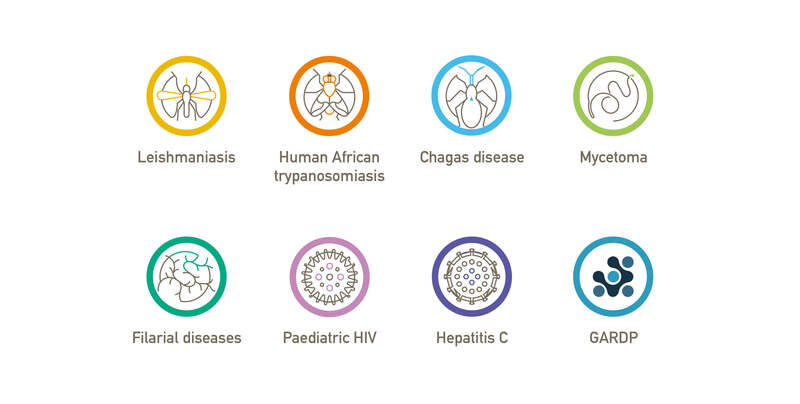 The Drugs for Neglected Diseases initiative (DNDi) is a collaborative, patient-needs driven, not-for-profit research and development (R&D) organization that develops safe, effective, and affordable treatments for the millions of people affected by neglected diseases. This year they asked Blossom to take care of the design and production of their print and digital Report. It needed to transmit the technicality of DNDi’s approach and at the same time bringing in all the initiative’s human side. Having to work within the brand’s existing identity, Blossom focused on revamping key graphic elements, such as icons and infographics. to make the report more contemporary and eye-catching. New Levels. A new Milan. Youth at work, youth at risk?